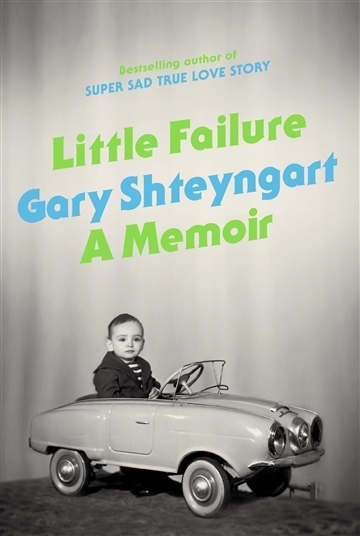 Gary Shteyngart was born in Leningrad in 1972 and came to the United States seven years later. He is the author of the novels Super Sad True Love Story, which won the Bollinger Everyman Wodehouse Prize and was selected as one of the best books of the year by more than forty news journals and magazines around the world; Absurdistan, which was chosen as one of the ten best books of the year by The New York Times Book Review and Time magazine; and The Russian Debutante’s Handbook, winner of the Stephen Crane Award for First Fiction and the National Jewish Book Award for Fiction. His work has appeared in The New Yorker, Esquire, GQ, Travel + Leisure, The New York Times Magazine, and many other publications and has been translated into twenty-six languages. Shteyngart lives in New York City.